The news refer to a refusal by the Swedish prosecutor to interrogate Mr Julian Assange lasting “almost 3 years” – and that now she decided to interrogate him in London. But this is not completely accurate, because she also refused to interrogate Assange while he made himself available in Sweden 2010. Why the Swedish prosecutor authority never really intended to “finish” the pre-investigation around the “case”? In the first place this has never been a “legal case”; only a political case. And it has not been only a political case by proxy – as the Snowden documents indicated – requested by the U.S. government [See Snowden document reveals Swedish prosecution of Assange was requested by the U.S.]. This is also a political case serving the ideological stances of the prosecutor and of some of the lawyers instigating the “accusations” against the WikiLeaks founder. For a brief background, see Who are behind the “Swedish prosecution” of Assange, and Why? For an extended fact-background I refer to my book Sweden VS. Assange. Human Rights Issues (free download PDF file, 340 pages]. The stalemate of the case Assange decided by the Swedish authorities – meaning the refusal of the prosecutor to interrogate him in London – has had one and only aim: to inhibit the publicist endeavour of WikiLeaks. The Snowden documents revealed in 2013 that the U.S. asked the prosecution of Assange in August 2010 to the handful of governments participating under US command in the military occupation of Afghanistan. Only Sweden complied – at a time with a foreign policy under the subservient rule of Carl Bildt, in its turn exposed by WikiLeaks of being secret information officer for the US. The true tactical reason why the Prosecutor authority, through chief prosecutor Marianne Ny, has now announced she is ready to interrogate Assange in London, it is because the Swedish Supreme Court has recently decided to take up the case in view of “the conduct of the investigation and the proportionality principle”. This is unequivocally referred to the prosecutors’ conduct in carrying/not-carrying the investigation. And this in its turn anticipated the dismissed of the case by the Supreme Court. All the “new” reasons adduced now by Marianne Ny to explain “changing her mind” appears as nonsense, for in the main, the situations she refers to have existed in exactly the same legal and/or practical fashion year after year. The new move by prosecutor Ny and the recent declarations by lawyers of the firm Bodström and Borgström (Bodström has been linked as main actor in the secret collaboration of Sweden with the CIA in the extraordinary renditions of refugees in Sweden, to be transported to torture camps elsewhere) only show that the U.S. government will not give up its plan A: The “Swedish” case against the WikiLeaks founder. Plan B is to get Assange arrested in the UK on charges of abandon the house arrest at the opportunity he sought political asylum at the Embassy of Ecuador. Prestige Of Sweden’s Rulers Deadlocks Case Assange. Page 67. “Operation Stalling”. Explaining Sweden’s Reluctance To Conduct Assange’s Interrogation In London. Page 99.
. Firstly, the Snowden document says “including Australia, United Kingdom and Germany”. Nevertheless, the document also provided the inclusion criteria: “nations with forces in Afghanistan”. One amongst these was (is) Sweden, conspicuously; one of the few nations, and longest lasting, participating in the U.S. led military occupation of Afghanistan. Secondly, This request was put forward on the 10 of August 2010. In the document “Affidavit of Julian Paul Assange”, we read that it was around that date when Sweden took decisive steps to “consider filing criminal charges against Julian Assange” – as requested by the U.S. government. Thomas Bodström is the senior partner, together with the above-mentioned Claes Borgström, of the law firm that represents one of the supposedly accusers in the Swedish case VS. Assange. Mr. Claes Borgström have made no secret on that it was he who took the initiative of reopening the case! In this constellation of “radical-feminists” politicians and collaborators with the disgraceful events mentioned earlier, is worth to mention that Claes Bodström was the Swedish ombudsan för genders issues, while Marianne Ny the chief prosecutor for an special unit dealing with issues associate with women abuse. She was already known in Sweden for advocating “preventive detention” of suspected men accused (not charged) of abusive behavioir. Both offices, Ny’s and respectively Bodström & Borgstrom’s, are stationed in the City of Gothenburg. Further, Thomas Bodström was also in the same organised ideological faction within the Social Democratic Party called the “Brotherhood”, another member of this faction was one of the so-called accusers. The faction consists of Christian believers and other religions’ disciples. While Thomas Bodström was one of the highest-ranking politicians within the faction, the nominal woman-accuser held the position of secretary. For his part, Thomas Bodström’s colleague, Mr. Claes Borgström, sat together with prosecutor Marianne Ny in the same governmental committee planning to extend the sexual-crimes legislation of Sweden. Thomas Bodström and Claes Borgström are in the same ideological line with that of Chief Prosecutor Marianne Ny. 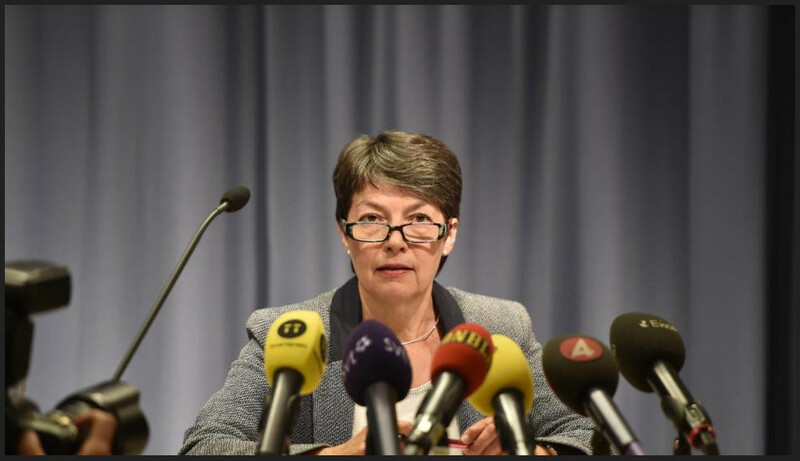 Ms. Marianne Ny, at the time of reviewing the case presented to her by Claes Borgström, still held a government assignment as a special committee member of a new legislation body studying legislative reforms to exactly the same type of offences described in the “accusations” against Mr. Assange. Some Swedish “Radical Feminists” Declared Julian Assange A Symbolic Issue. Page 202 of the book Sweden VS Assange – Human Rights Issues. The conspiracy arround Julian Assange’s case is obvious.Things(actions)that noone can explain,strategies,abuse aso. Question is…is there a big plan for Julian Assange? Sweeden, please help mr assange gain his freedom back. the entire world would entirely agree with your choice to do so. It would benifit your country and its image, too.